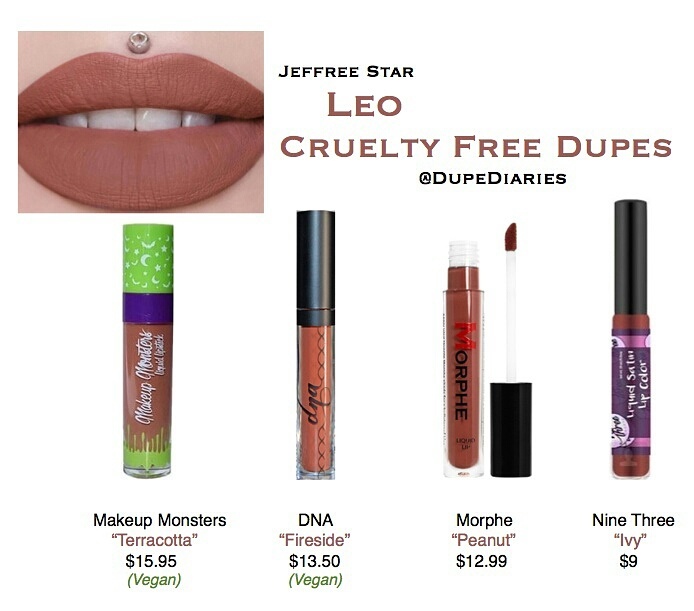 Jeffree Star’s Leo is a cruelty free and vegan product that retails for $18 on his website. All of the products mentioned above have a super amazing formula that’s non drying and really comfortable to wear throughout the day. I don’t notice any streaking or cracking with any of these. If you eat messy/greasy/oily foods they all come off in the center of the mouth, but that’s something that should be expected with most, if not all, liquid lipsticks.